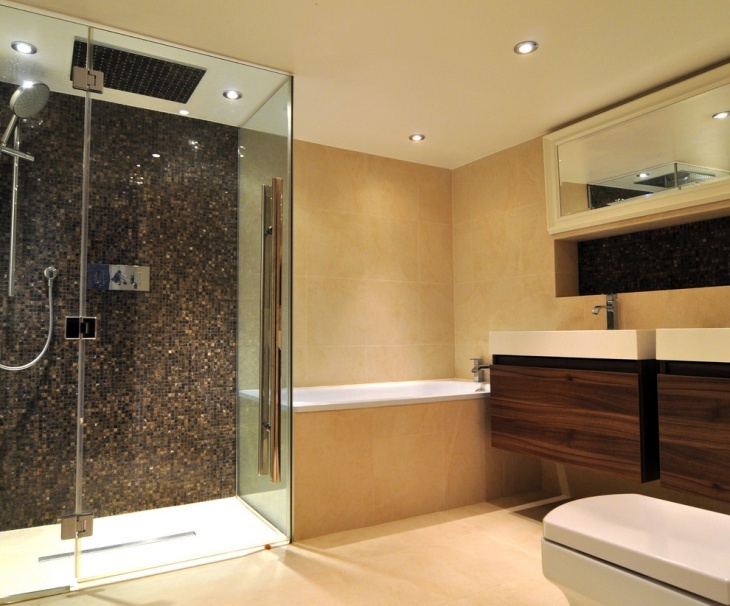 Italian bathroom wall and floor tiles are known for their elegant, sophisticated and strictly minimalist designs. The wall tiles are generally made of marble but they range from ceramic tiles to natural stone tiles and various bespoke geometric patterns are included as well. 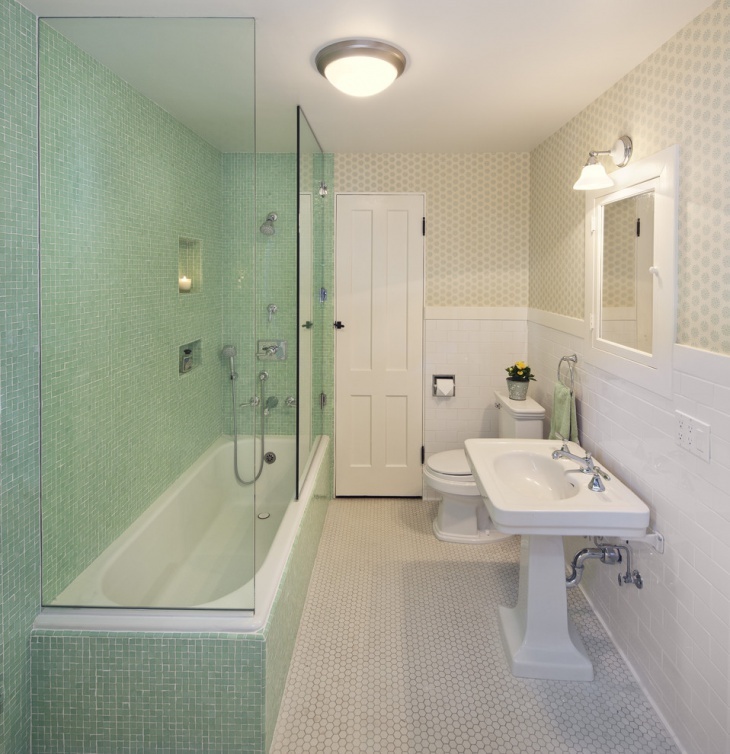 The Italian style bathroom tiles are more in pastel shades than bright hues. Following are a list of Italian bathroom wall tiles that you will love. This beautiful Italian bathroom tile design is a porcelain tile which has a wooden appearance. 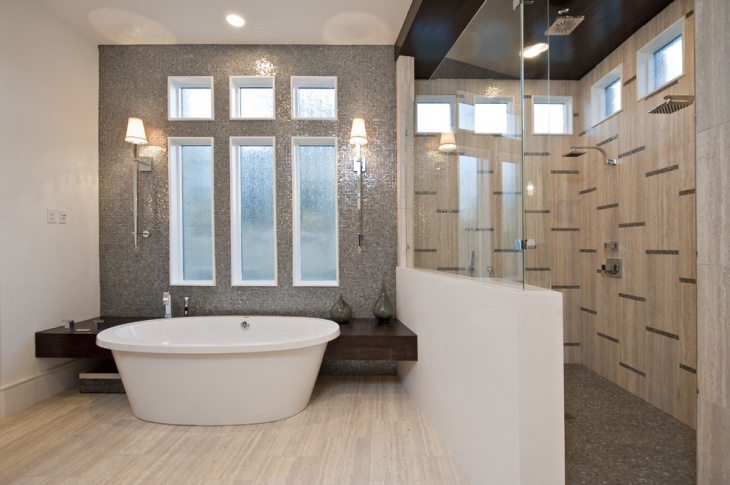 The walls are painted in beige with a matte finish alongside a large glass door, wooden vanity, and a soaker tub. This bathroom has ceramic gray wall tiles which look like painted bricks. 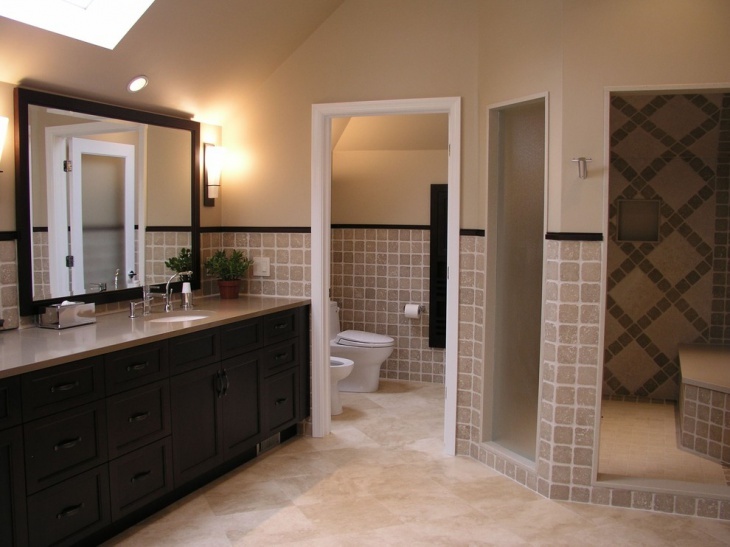 It features similar colored floor tiles which complement the look of the bathroom space. 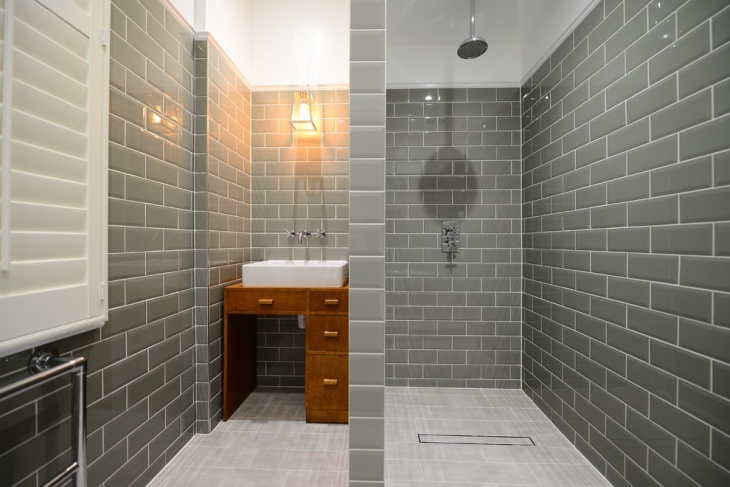 It has a clean look because of the subway tiles and reflects the true Italian style. 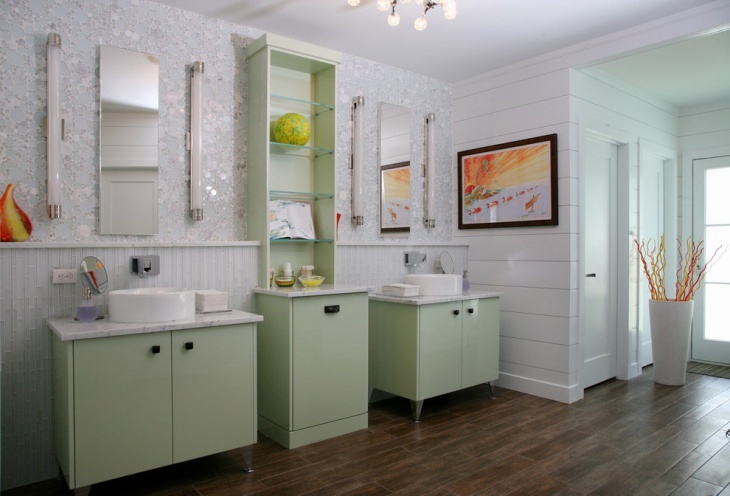 This traditional Italian style bathroom featuring a single vanity has a separate toilet with a door away from the bathroom space. The tiles are light beige in color and halfway up the wall with a black top stripe. 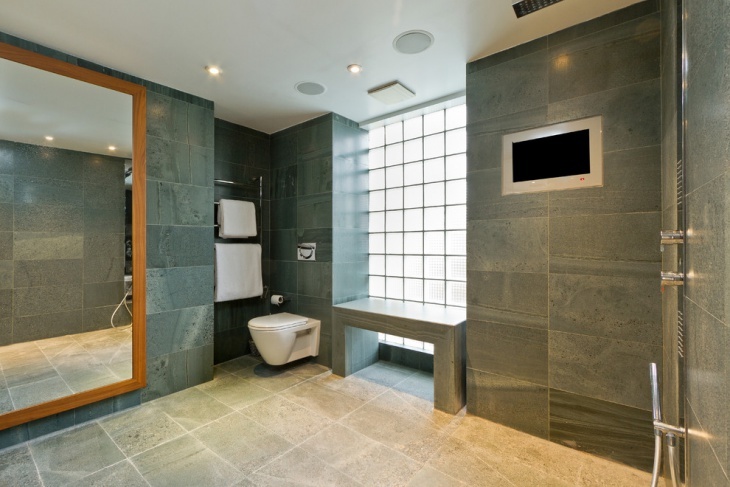 This Italian bathroom with a contemporary style features frosted glass windows, the walls are of natural stone in a grayish teal color. It also has a wooden bench right next to the glass windows and a large mirror with a wooden frame. This contemporary Italian bathroom having gold tiles in ceramic and the flooring is just as the wall tile, both complement each other. 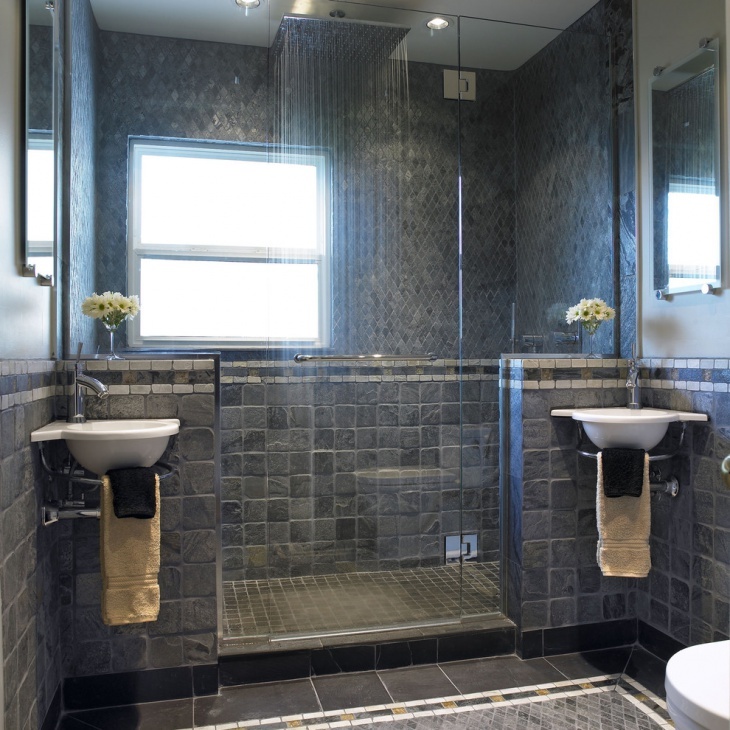 It also features dark brown wooden vanity and a glass enclosed shower area wherein the gorgeous black shimmer mosaic tiles form the backdrop. This cozy little Italian bathroom having hardwood floor in chocolate brown also has white accents. 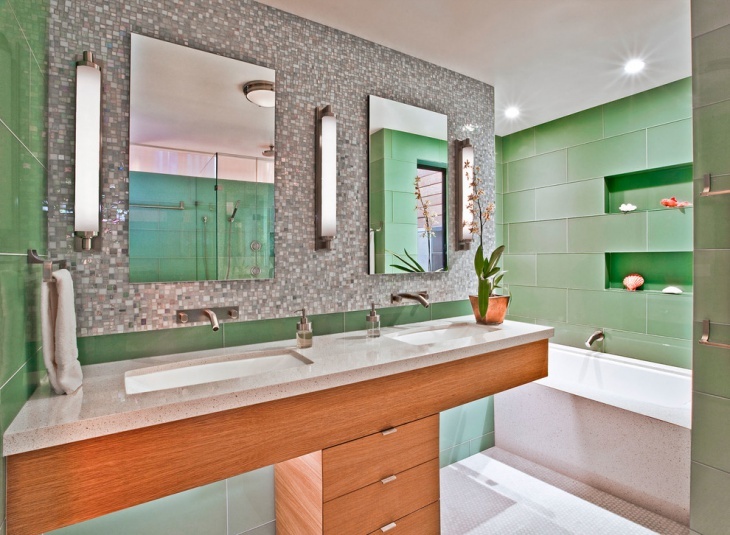 The walls have a backdrop of lustrous white circles glass tiles which are slightly shiny and complement well with the pastel green dual vanity with mirrors. 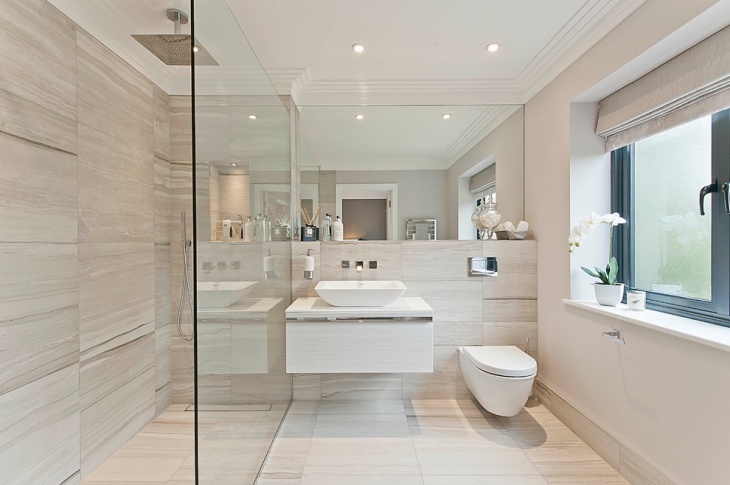 This simple yet sophisticated bathroom with a midway parting glass shower is very luxurious. 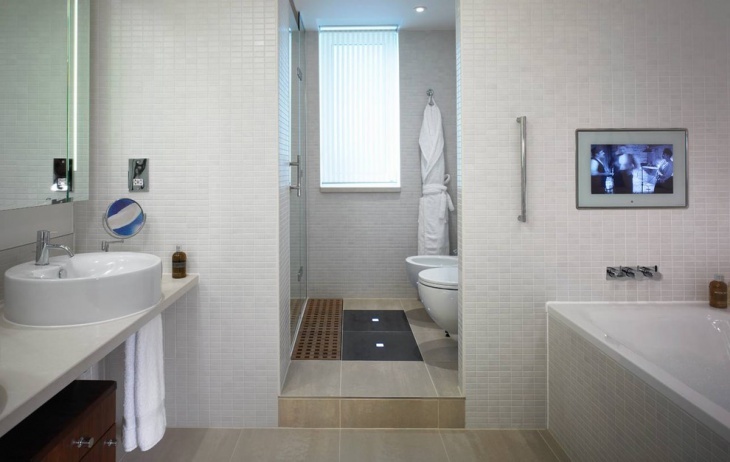 It features a wall mount sink with large marble tiles on the walls as well as the floors. 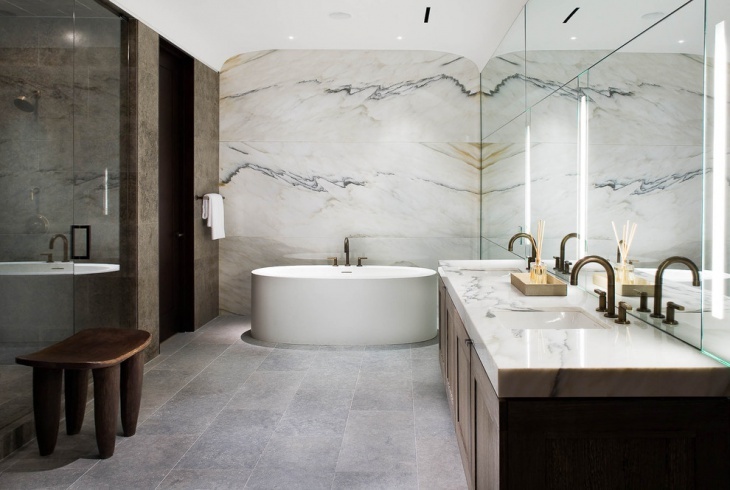 This Italian bathroom has an unconventional wall tile design which is a cut marble tile and has brown and white colors integrated together to form a rustic appearance. 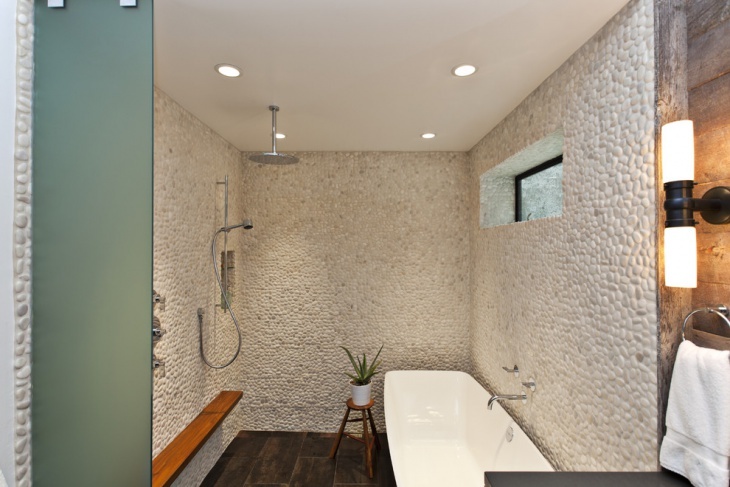 It features a small window above the tub and two shower heads. 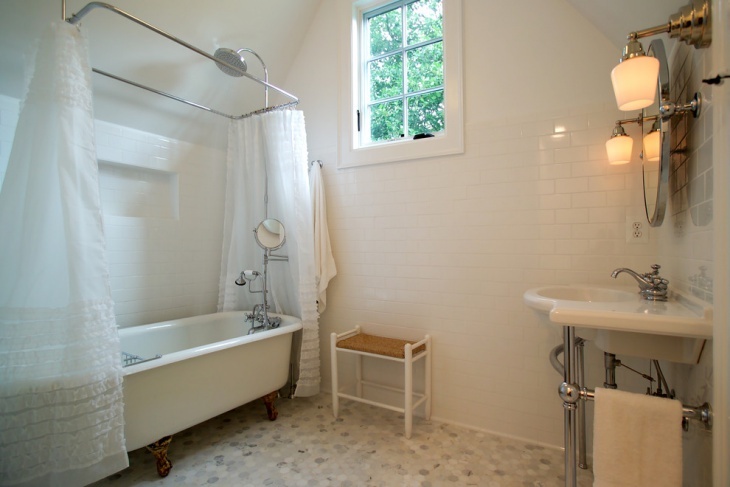 This vintage style Italian bathroom in white is small and simple. Herein, modern as well as traditional design elements have been combined. It has subway marble tile flooring and the walls have ceramic white tiles which complement the overall look of this vintage white bathroom. 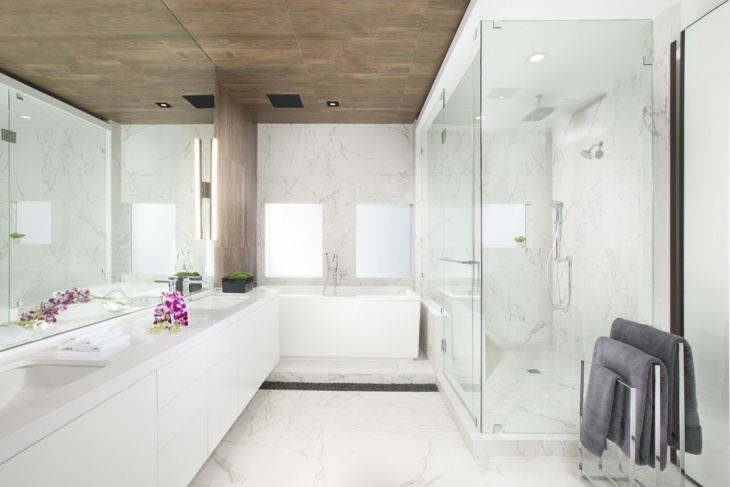 This luxurious master bathroom with a chandelier features a half glass wall and the shower backdrop has specially honed marble tiles. Also, it has a decorative glass window just above the bathing tub. 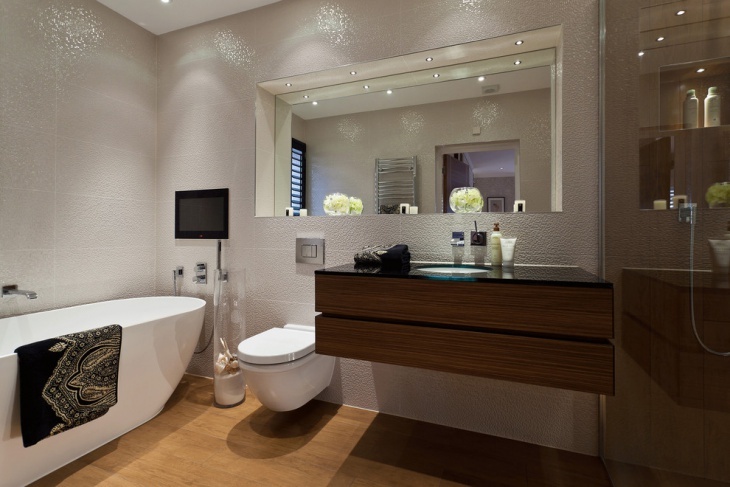 This bathroom has been designed very exquisitely and looks every bit gorgeous. 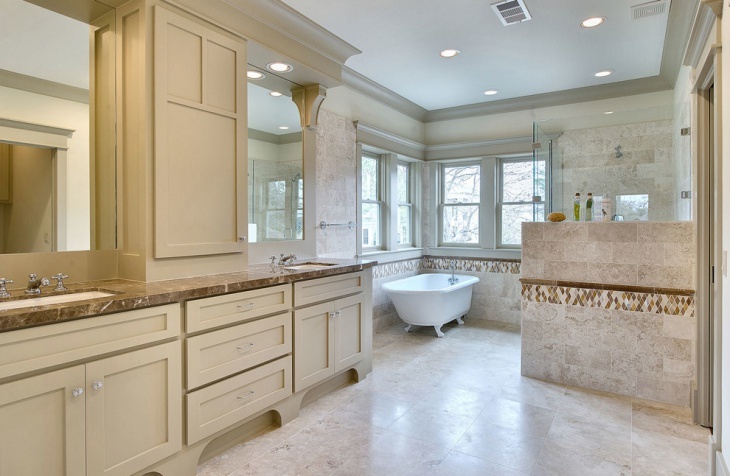 Italian bathrooms are widely popular throughout the world, known for their sense of simplicity and sophistication combined in one space, the décor elements mainly used in Italian bathroom usually range in colors like white and gray, also they are generally of marble stones. 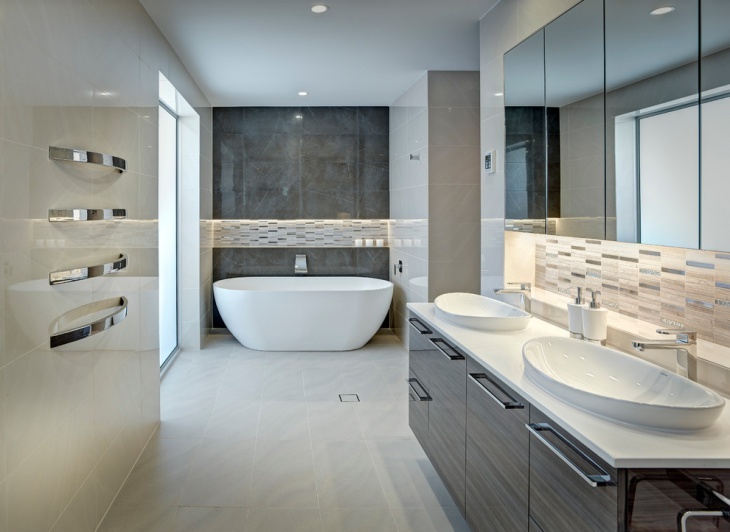 Italian bathrooms add a visual strength to the bathroom spaces and are contemporary in style, they are shiny, white and glossy.